Please book your space early, our intention is to leave lots of space for everyone to be comfortable, 28 beings is our capacity at this time and we would love to honour this. Please arrive between 18:45pm - 7:00pm for a 19:10pm start. We are so blessed to have the amazing Regina Rhythm as our special guest who will be sharing some of her heart songs and drumming with us all. Bringing our intentions into fruition with connection, breath, and song, as we work with the Alchemy of music and stillness to drop into a deep state of receiving. 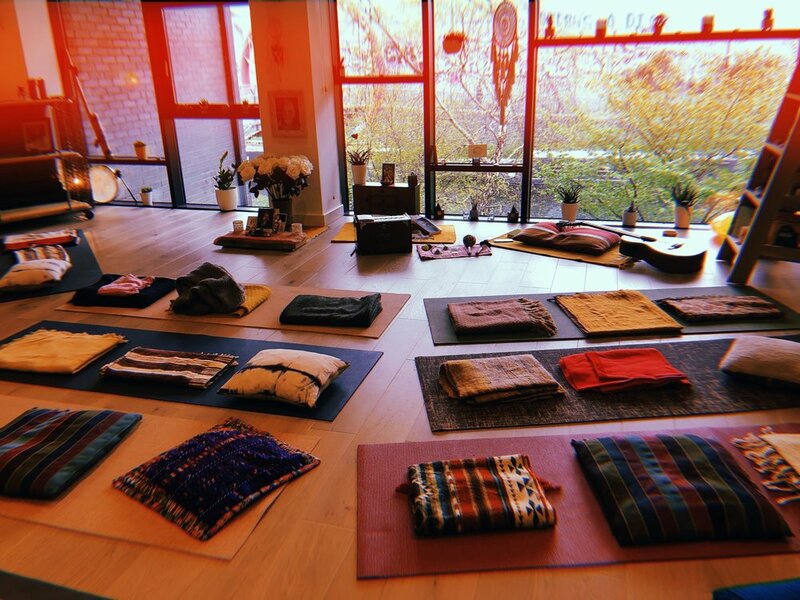 We will begin with a heart opening cacao medicine ceremony and Intention Setting, before uniting our voices in song and expression, concluding the evening with a time to receive the healing sounds of mantra and crystal bowls. Literally translated as ‘Food of the Gods’, Cacao is one of the most nutritionally dense super foods and provides many medicinal benefits. It stimulates the production of the neurotransmitters dopamine, serotonin and anandamide (also known as the bliss chemical) leading to feelings of euphoria. Since the ancient civilizations of the Mayans and Aztecs, cacao has been used in rituals and ceremonies as a tool for journeying deep inside of the self, allowing spirit to move through and guide us.